Where I want to go this year. 2016 was a year of big travel and big changes for our family. We traveled Down Under in January and moved an hour away from our home of 7 years just two days after Christmas. Now that the boxes are unpacked we’re settled in to our new city (kinda) – I wanted to share with the world our travel plans for 2017. How cool does this look?! The Blueberry Patch– Blueberry picking, a winery, and cafe. I hear they have donuts. Enough said. That’s some lofty travel goals! Good thing we have 11. 5 months. Outside of Ohio, we don’t have a bunch of concrete plans. 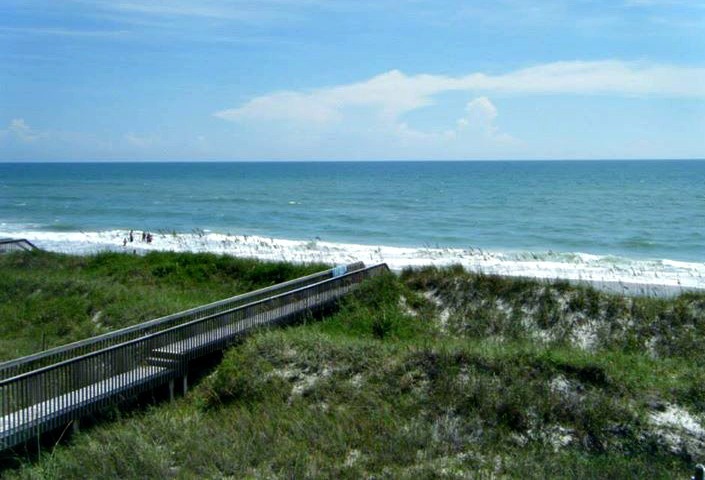 One trip that is booked is Topsail Island, North Carolina. Our family has been there numerous times, I think this will be Mr. YT and I’s 9th time! On our last visit C was only 9 months old, so this time should (hopefully) be a little more relaxed- and include more sleep. On the way to the beach I’d like to cross off New River Gorge, WV. This National River was on my list last year, but the timing never quite worked out! It’s only a quick jaunt off of I-77 so I don’t see why we couldn’t leave a couple of days early for NC. Fort Wayne, IN- June will take us to Fort Wayne for the Mr’s work conference. (Last year it was at Belterra Resort & Casino and we traveled alone). We’re planning to bring the kids this time and make it a family adventure. Did you know that Fort Wayne has one of the Top 10 zoos in the nation? Beyond that, we hope to do another week of travel in the USA or Canada. I’m thinking a Canadian Road Trip to Montreal and Quebec City might be fabulous, but then I get sidetracked thinking of some Southwest miles we’ve accrued and how we could use them for Texas (Joanna Gaines, I love you) or Southern California. My van is OLD (we only buy used cars with cash) so I’m not sure it could even handle a road trip. Maybe that will pressure is into flying! I’ve also got my eye on a few flower festivals. Tulip Time in Holland, Michigan is fairly close to home and looks like a fun weekend. I’d also like to head south again- New Orleans? The Lowcountry? Eh, first things first- we better sell our vacant home. Have you made your travel plans for 2017? Where are you headed? Have you been to Fort Wayne? The only place scheduled so far is Raleigh, NC for a creative conference, but I love NC and I’ve never been to Raleigh. I’d love to go back to the Outer Banks, but…we’ll see! We went to downtown Raleigh on one trip to the beach and checked out the North Carolina museum. This time I’d like to stop in Chapel Hill- I’ve heard great things about the college town. You may want to visit Kingwood Center Gardens between Aug. 5 – Oct. 1 in order to take in their Ribbit Exhibit with frog sculptures that the kids may enjoy! An added bonus! Thanks, Tammy. Yes! I’m sure we will visit then. Although they did tell me that their rates will increase at that time from $5/car to $5/per person!